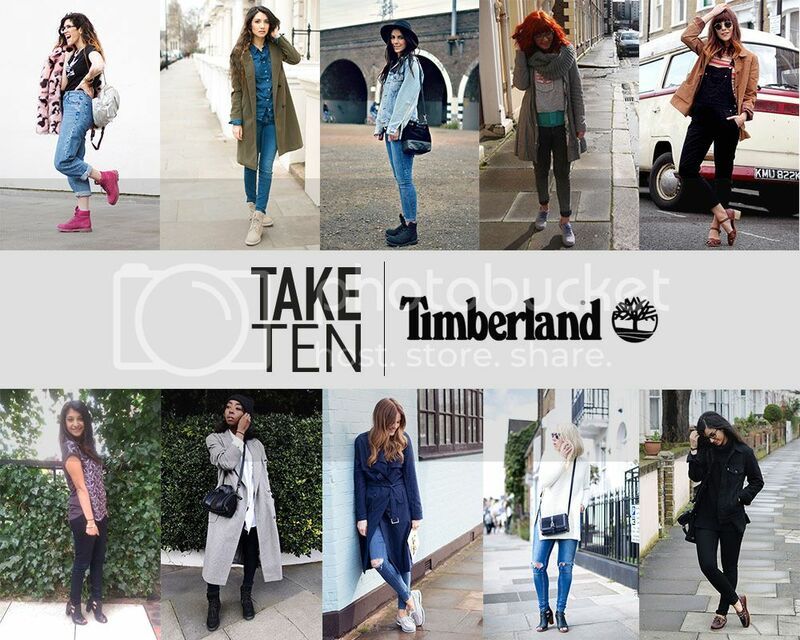 This has definitely been one of my favourite Take 10's. Timberland sent us these shoes and they are absolutely stunning. I'm waiting for it to stop raining so I can start wearing these properly. I'm so impressed with this shoe. Timberland have come along way since the chunky work boots, and I have a few pairs from newer collections and they are the cutest. They look so stylish and I love the cut out style. I can't wait to pair these with a cute summers dress. And here's how everyone else wore them. We've had a few line up changes recently, so we're welcoming a few new faces to the Take 10 squad. I can't believe those are Timberland's - so chic! I can't believe it either - wow!